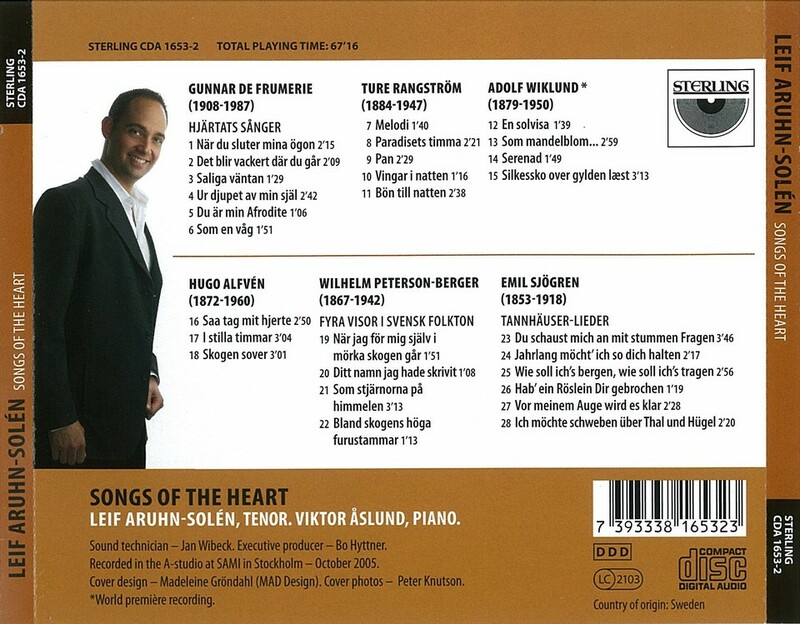 CDA 1653-2 Leif Aruhn-Solén, Songs of the heart. 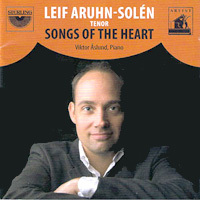 Aruhn-Solén comes from a singer´s family, both his mother and father are very active as singers. His voice is well suited for songs in the most intimate scale, for instance the Frumerie songs, and the Wiklund songs -here recorded for the first time.